after a number of years of searching high and low, i got my boyfriend the J.W. Hulme brief bag for Christmas. he has now been using it regularly for over a year, so i thought i would give this bag a proper review. longtime LAM readers may remember my disappointing experience with a poorly-made Billykirk satchel a few years ago. i believe in buying for keeps and had been on the hunt for a replacement for a while, but nothing really stood out. some of the more luxe options just had too much of an overly manufactured, 'Wall Street' vibe, not to mention most of them all clocked in the very steep $1,000+ price range. therefore, i was excited when i spotted the J.W. Hulme bag. it seemed like a worthy contender for the classic, functional man bag that could roll with the punches of daily city/commute life. i wanted to wait to write this review for at least 12 months to reflect how the bag stood up to real wear and tear. the leather: thick and sturdy old-school cowhide (vintage 1970s/1980s Coach comes to mind), which was exactly what i was looking for. 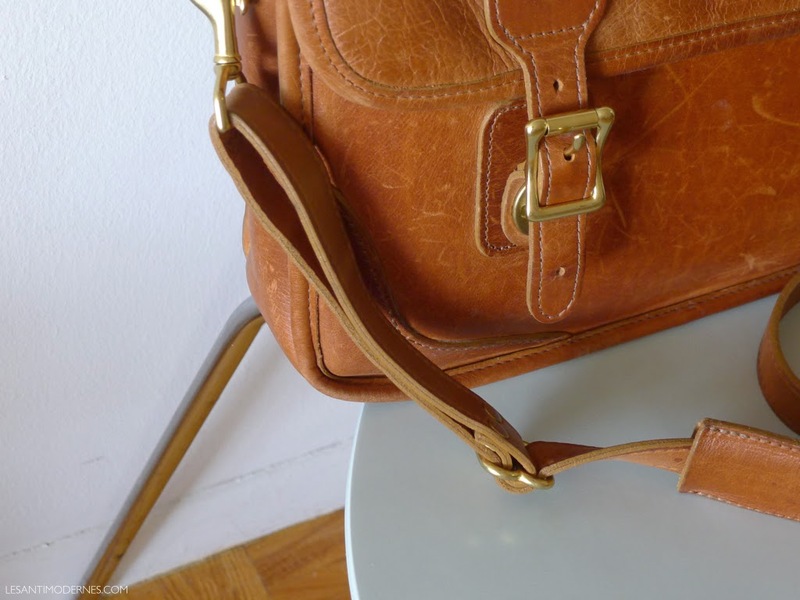 this type of leather adds a bit of weight to the bag, but not so much as to make it cumbersome. i was told by JWH customer care that the bag didn't need to be treated, so these photos show the bag without any leather treatment products after regular use. after 15 months, it looks like the leather has aged well. the smooth texture of the leather does pick up little fingernail marks easily, so that is a consideration if you do want a spotless, uniform finish. i rather like the patina, though, and the wear marks will likely blend into the leather with time and may be buffed out with some occasional leather conditioning cream. the design: straightforward and a good mix of old-school details (like the brass turnlock buckle closures) without straying too much into frontier-town or hunting/fishing territory. perfectly suited for use as a city work bag, but also works well as a travel/small carryon satchel. the main flap is secure and relatively easy to access. the thick and adjustable shoulder strap is comfortable. the craftsmanship: excellent, and matches the price point. i appreciate that JWH bags are made in America, and with a lifetime guarantee. these days, buzzwords like 'heritage' and 'legacy craftsmanship' are bandied about by nearly every brand, but in this case they completely resonate with the product. the stitching is tight and uniform, the edges are all finished with rolled piping which appears to be well reinforced. the brass hardware is sturdy and secure. like most guys out there, my boyfriend definitely uses his things, and this bag was put to use from day 1. it's holding up nicely. the space: just right for stashing a laptop (fits a 11" Macbook Air easily with plenty of room to spare), files, papers, notebooks, an umbrella, and all the other usual odds and ends. there are a few slotted pockets for smaller items and pens, and a large front compartment divider. i like that the bag maintains a slim side profile while having enough room for the everyday essentials. some of the other briefcase bags i looked at seemed huge in comparison, or were too boxy to maintain a certain style factor. the look: classic + stylishly functional. done and done. worth it? 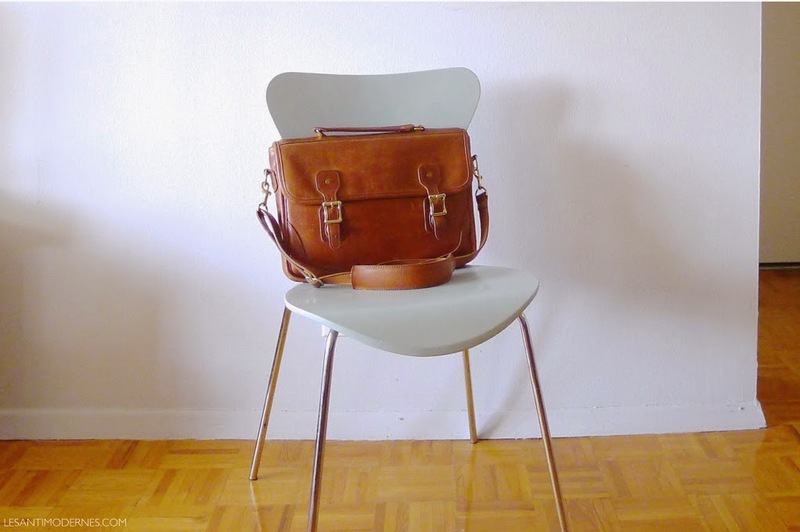 yes, if you're willing to splurge a bit, this is my top pick for a handsome, timeless man bag that will last. what do you think? do you have any J.W. Hulme bags? What a great bag! I like its old school vintage style. Love it! Putting on the wish list for myself. Items for men are so much more well made. It's kind of depressing for us gals that can't find a nice shirt to save our lives these days! I think the J.W. Hulme craftsmanship far exceed the price point when looking at luxury brands. I have the very simple Large Mia Tote in black and grey which is a great travel bag. For short business trip, I use it as a carry-on. I put my clothes in a canvas bag inside it and add my laptop and toiletry. It looks modern and polished. The bottom is not flat which was puzzling at firs look but ends up having no impact on utility. Several years ago, I scored a small Legacy in black at Barneys and I love it for a small cross body bag to fit a phone, credit cards and a lipstick. I am a huge fan of J.W. Hulme. yes i agree! i just like their no-b.s. approach to making quality goods. I have several Coach bags from the 1950's, 60's, and 70's, some inherited, some bought on ebay for almost pocket-change, and these are excellent, classic leather bags--these bags are not to be confused with the trendy, low-quality, over-priced bags Coach has produced over the past couple of decades. J.W. 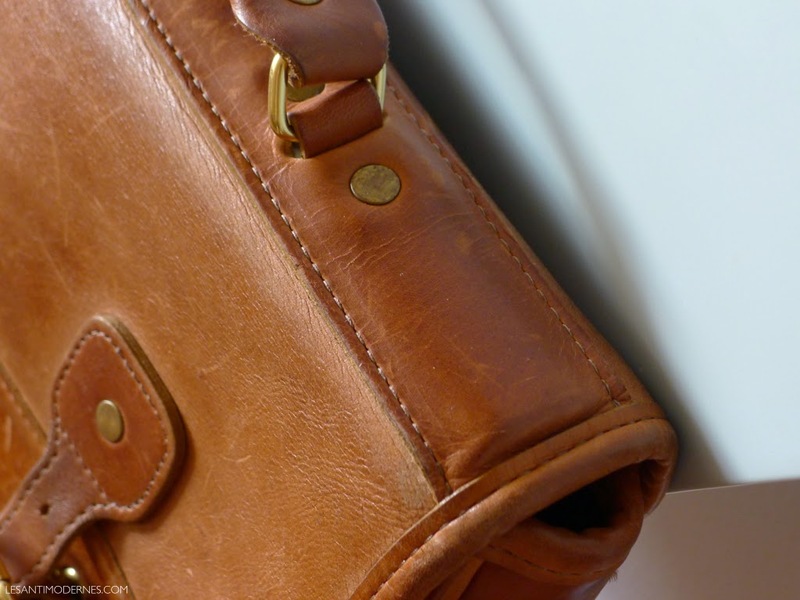 Hulme is now the only modern company that I've found that produces excellent-quality, classic leather bags comparable to what Coach produced in their early years in their New York location. I love JWHulme products, buy them for myself & gift them. When buying for myself or other females, I'm not concerned at all as to whether they are marketed to men or women, good quality leather products can often cross gender lines. Thank you for the excellent post!